Health issues come unannounced. Healthcare accounts for a large amount of expenses in many households, and it is often unplanned. Healthcare services have evolved with time and continue to improve, but they have also become expensive. It is a good practice to secure your and your family’s health in the event of an unforeseen illness. This article helps you understand why you need a health cover, how and with whom to insure your entire family, and how to get health insurance in special circumstances. Good quality medical care is difficult to access with the costs of healthcare increasing quarter on quarter. Health insurance coverage can protect you against this if you need to spend on a regular medical procedure and in case of long-term illness. Choosing the best health insurance plan for you and your family members, therefore, becomes essential to access expensive health care services. Health insurance providers cater to the healthcare needs of individuals, their immediate and extended family, and senior citizens. The entry age for different health insurance products is different, and the premium likewise varies based on age and health condition. If you are a senior citizen, you require more coverage for health care than an individual who is younger, as some illnesses are associated with age. Most providers have now extended the entry age limit to 65 years based on the regulator, Insurance Regulatory and Development Authority (IRDA) recommendations to provide more coverage for older citizens. There are also health plans that are offered by providers to cover maternity related expenses. Most health insurance providers offer some in-hospitalization and post hospitalization expense coverage. Some providers also insure and pay for procedures like x-rays, dental treatments, and radiotherapy even when it does not require hospitalization. Also, certain health insurance plans cover expenses incurred while using hospital equipment and ambulance. With the increasing occurrence of lifestyle-related illnesses like obesity, infertility, etc., providers are offering innovative products that support recovery and also cover alternative treatments like Ayurveda. Let’s take a brief look at the options available and understand the situations under which they are ideal. The company’s diverse policy plans provide significant covers in critical times, and access to a high quality hospital network, as well as comprehensive support for treatment of diseases. The Prohealth Insurance Accumulate Plan enables you to get a Personal Health Wallet that grows every year even if you claim. Star Health and Allied Insurance Company is a recipient of many awards for its high-quality services. It directly offers claim settlements and provides for coverage of cashless hospitalization, health check-ups, and surgeries. The Star Micro Health Insurance Policy for Rural Areas offered by the company provides coverage for individuals in rural areas. ICICI Lombard follows minimal paperwork and a hassle-free claim process. It offers many attractive wellness programs that let you accumulate points that you can offset against medical fees. Max Bupa offers a wide range of products for individuals, their immediate family and extended family, and fixed benefits plans for emergency situations like accidents or sudden hospitalization. Bajaj Allianz offers many value-added services with the plans like discounts on health tests, medical procedures and medicine purchases. Apollo Munich offers health insurance plans for most customer segments – individuals, families, senior citizens, and corporate employees. The company provides cashless hospitalization facility in many multi-specialty hospitals. There are also many innovative plans such as the Apollo Munich Dengue Care Plan that covers seasonal illnesses. 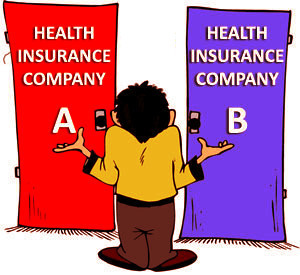 With the wide range of health insurance options available, it is quite confusing to choose the best one for you and your family. If you are young, choose a health insurance policy that provides floater coverage for you and your family. This is akin to having a pool of funds available for the family if needed. 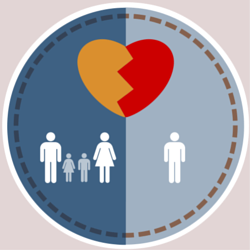 If you are older, you should go for an individual policy that gives you the maximum coverage. Most of the policies offer accident coverage and a lump sum guaranteed with accidental death. If you live in metros, you can choose a policy that offers maximum coverage and cashless hospitalization. There are plenty of options out there. Take the time to read the policy benefits and choose one that best fits your current and likely future needs. © 2013-2018 PlatinumOne Insurance Broking Private Limited || All rights reserved.